Appetizing main dish fish from Food & Wine magazine. 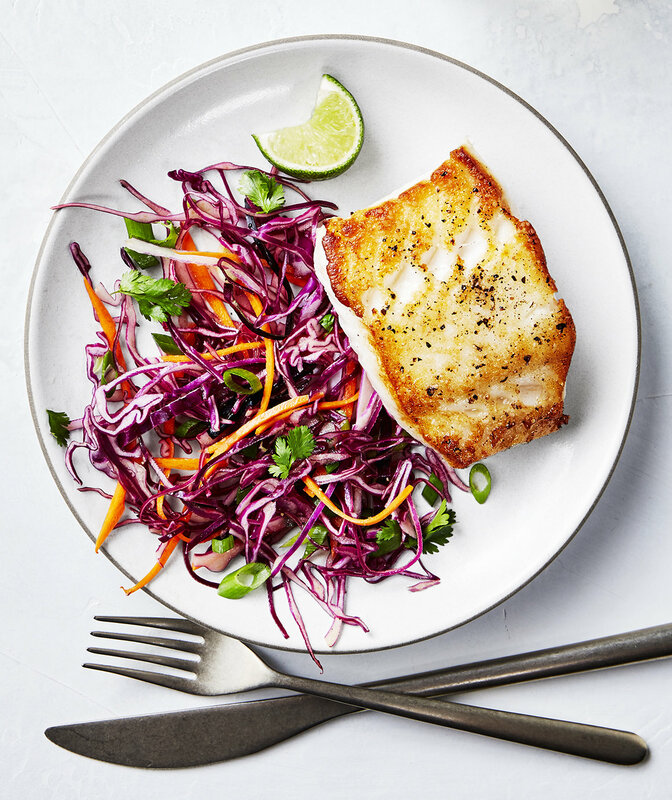 This meaty fish meal is a flavorful delight. The ginger cream sauce is spiked with Sriracha, the spicy red Thai chile sauce. 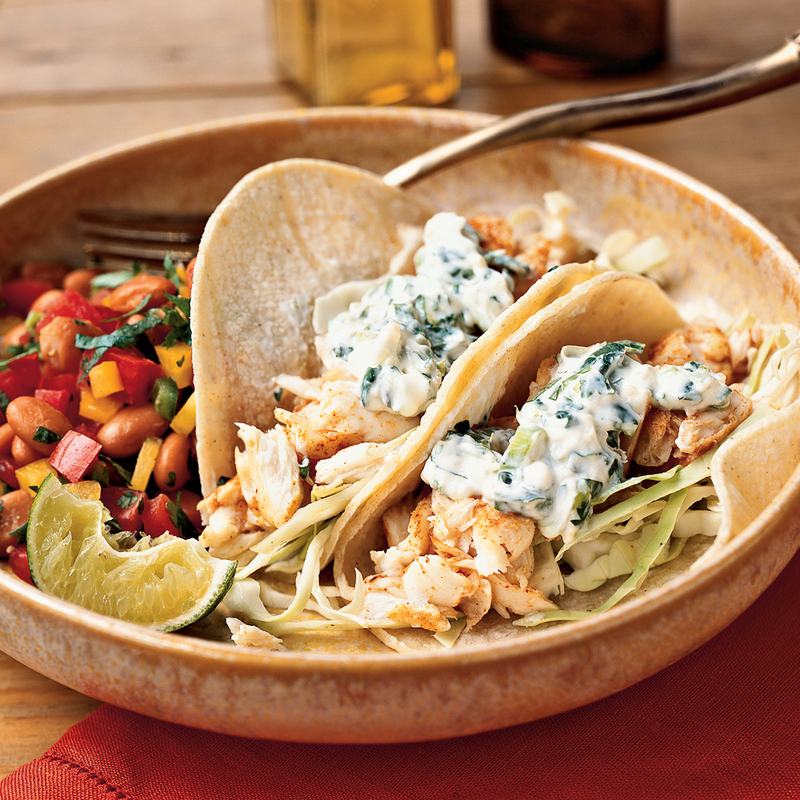 Fish tacos are a staple for seafood lovers, but are often beer-battered and fried. 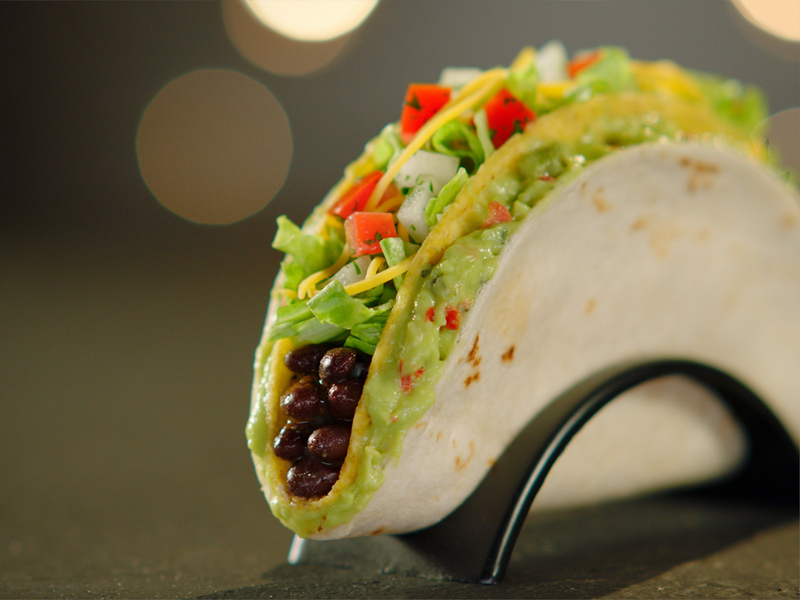 This healthier, grilled version enriches the guacamole with low-fat sour cream. 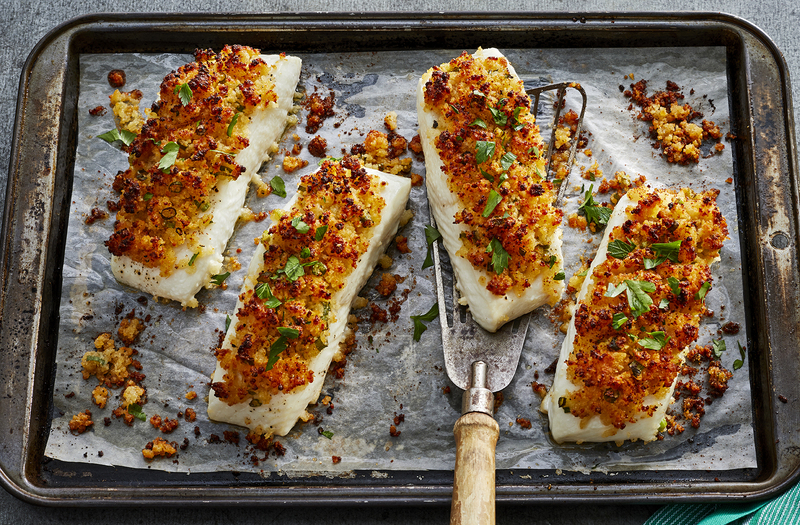 Coat delicate halibut fillets in fresh herbs and grill them until lightly charred. To make a tangy sauce, cook cherry tomatoes in tarragon-infused browned butter until they burst with juice. Beef stock and red wine make a luxurious sauce for this salmon recipe. 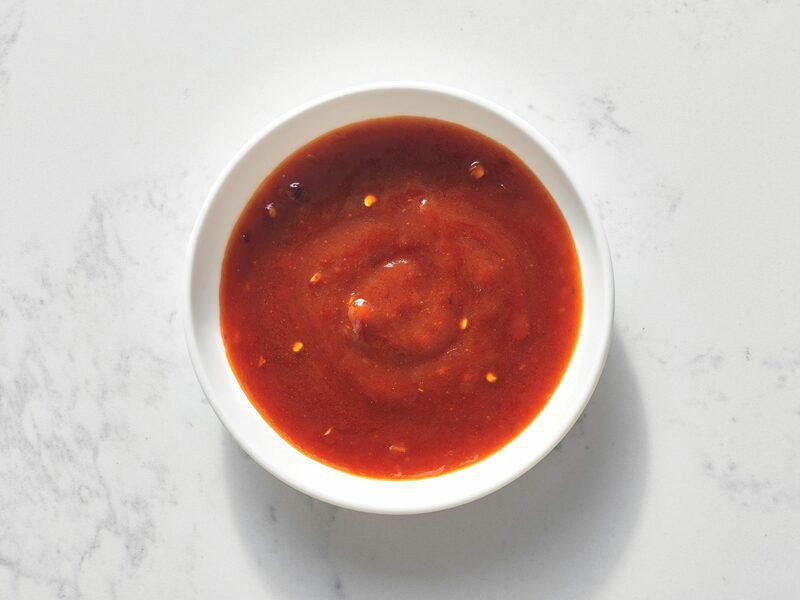 Add fabulous smoky flavors to the Catalan sauce romesco by swapping in smoked almonds for the usual plain kind and adding a touch of pimentón de la Vera (powdered, smoked Spanish red peppers). or shiitake mushrooms, which are less pricey than chanterelles. The Good News: Branzino, a European sea bass, is low in fat but has a wonderful richness when cooked on the bone. Stuff the fish with lemons and herbs, then grill it until the skin is browned and crispy to add even more flavor. This creamy dish calls for shrimp and crab meat, but feel free to use any type of fish you have on hand. This seven-ingredient seafood appetizer is super fast and incredibly easy. Simply grill the clams over high heat until they pop open (about 25 seconds), then flip and grill for 20 seconds more. Remove from heat and top with a homemade hot sauce. Serve with grilled crusty white bread and a glass of Sauvignon Blanc.